Somewhere you have always wanted to travel: Most successful authors, editors, intellectuals, and other authority figures involved with literature have either traveled to Paris, France multiple times, or have gone to extent of living and learning the culture. I, an aspiring author, want to experience their culture and interpretations of the arts, as Paris is known for their appreciation of the arts. In writing, immersing oneself in foreign culture heightens perspective and use of perspective. Paris being the center of artful culture and renown landscapes, is beneficial to the mind, and a great experience. Hobbies: Reading, managing, and running a book blog. I played piano for 10 years and trumpet for 7 year. I also love to write, run and cook. 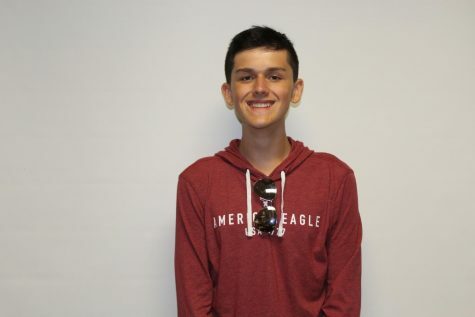 Why did you join Cardinal Chronicle: I want to be an author, and if all else fails, I can always become a journalist. Therefore, taking this course and being part of something so independent at the same time so team dependent, provides an experience that is new and exciting. I believe success is a product of the perfect balance between team harmony and independence, therefore being part of The Cardinal Chronicle, no matter what, in my opinion is a success.